The Xerox Versalink C7030 Multifunction Printer is the perfect printing and copying option for your small business. 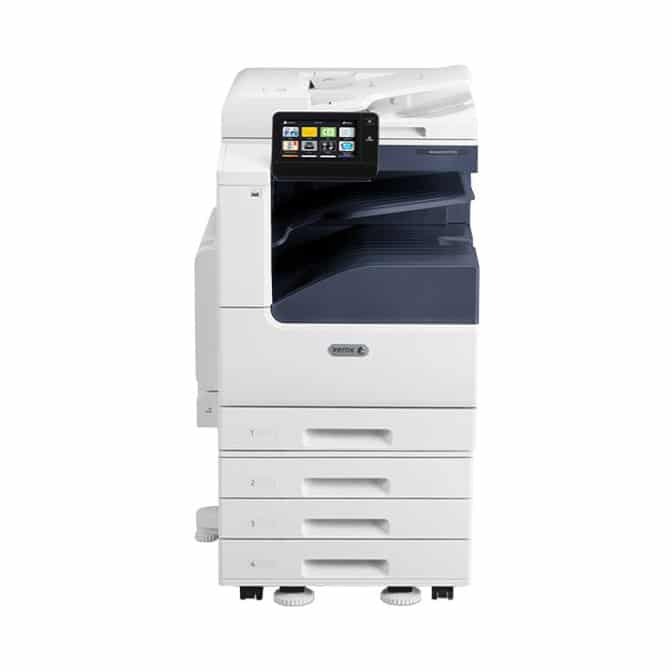 This Xerox Versalink in Spokane is the perfect tool for your business. When your business is starting out you need to make the right decisions to help your buisness expand. It combines with your current tools that you use to help you more accurately print, scan, fax and copy. The Xerox Versalink C7030 Multifunction Printer comes at a great price and produces 30 pages per minute! This copier also has a tablet-like touch screen to make accessibility very easy. These features make the speed of your work day faster and helps you get more tasks done in your work day. No more outsourcing your documents. You can now create your own high quality professional projects with this copier. You can also use it for mobile printing, Secure Email, Secure Fax, Secure Print, Secure Scan, and many other features to make your job easier. Call us today and get started today solving all of your small business needs with this Xerox Versalink C7030 MFP. Call us today and we will help you with any questions you may have on this copier or any other copier that Xeroxhas available.